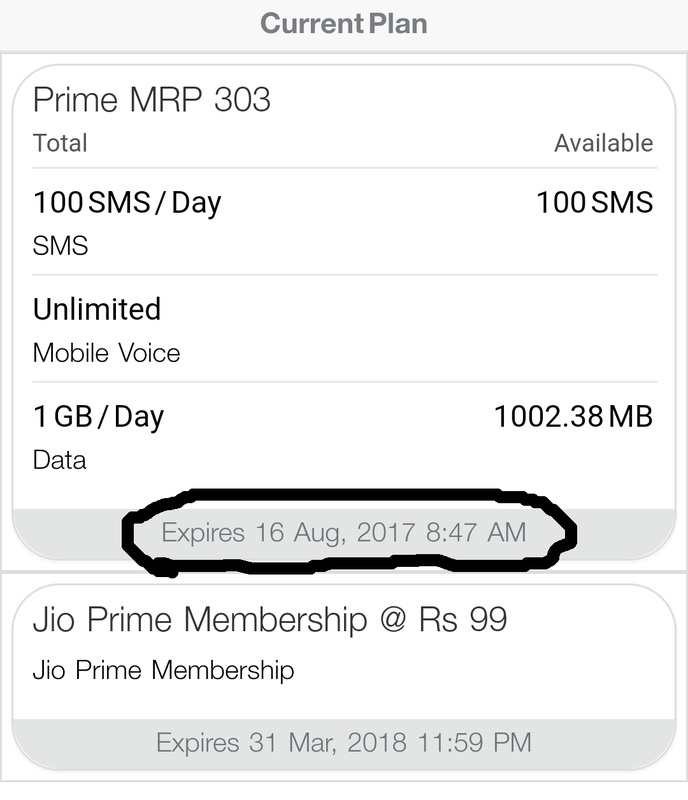 Jio Extended its Summer Surprise Offer or De Dhana Dhan Offer for 1 Month. As everyone knows that Jio is the Most Popular Telecom Industry these days. To check weather its extended or not you can check MyJio App. You can see the dashboard of MyJio app. Or you can check the validity under My Plans Section. Here's the Proof of it. Jio also introduced its new offer to continue Dhan Dhana Dhan Offer. The Price isn't as like before. If you want to continue Dhan Dhana Dhan Offer then you have got to recharge with Rs 399 for 84 Days. All the benefits regarding this offer is same as we are using it right now. There are so many cashback offer are available on some online recharge apps. Like; Mobikwik, Freecharge, Paytm, PhonePe, etc. If you are looking to activate this offer then you can recharge at Mobikwik With Rs 399 and you will get Free Supercash of Rs 39. So, We are suggesting you that It's really easier to do the recharge on the last week of the validity. Becasue the last day We face many issues like; Recharge Failure Due to Huge Traffic on Server.